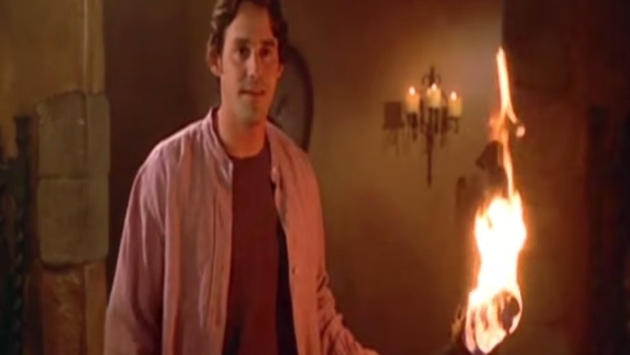 Nicholas Brendon, the actor who played Xander Harris on the popular Buffy the Vampire Slayer, has a tumultuous relationship with his hotel rooms and has once again been arrested, this time for grand theft at a Florida Hilton. According to the report, the police charges stem from the allegation the actor refused to repay those incurred damages. The report reminds that this is the second time in the past five months the actor has been taken to task for a hotel kerfuffle. TMZ reported back in October on Brendon’s arrest after a Boise Comic Con. At the time he was arrested for “resisting and obstructing arrest” when he failed to comply with officers who were called to a hotel lobby disturbance. Considering the recent turn of events, we certainly hope Brendon is getting the help he needs at this time.